Although many Blastocystis infections remain asymptomatic, recent data suggest it also causes frequent symptoms. Therapy should be limited to patients with persistent symptoms and a complete workup for alternative etiologies. 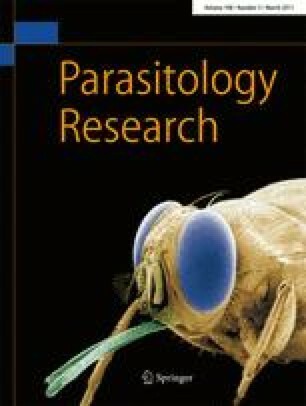 The goal of this study was to compare the natural evolution (no treatment) to the efficacy of Saccharomyces boulardii (S. boulardii) or metronidazole for the duration of diarrhea and the duration of colonization in children with gastrointestinal symptoms and positive stool examination for Blastocystis hominis. This randomized single-blinded clinical trial included children presenting with gastrointestinal symptoms (abdominal pain, diarrhea, nausea–vomiting, flatulence) more than 2 weeks and confirmed B. hominis by stool examination (B. hominis cysts in the stool with microscopic examination of the fresh stool). The primary end points were clinical evaluation and result of microscopic stool examination at day 15. Secondary end points were the same end points at day 30. Randomization was performed by alternating inclusion: group A, S. boulardii (250 mg twice a day, Reflor®) during 10 days; group B, metronidazole (30 mg/kg twice daily) for 10 days; group C, no treatment. At day 15 and 30 after inclusion, the patients were re-evaluated, and stool samples were examined microscopically. On day 15, children that were still symptomatic and/or were still B. hominis-infected in group C were treated with metronidazole for 10 days. There was no statistically significant difference between the three study groups for age, gender, and the presence of diarrhea and abdominal pain. On day 15, clinical cure was observed in 77.7% in group A (n, 18); in 66.6% in group B (n, 15); and 40% in group C (n:15) (p < 0.031, between groups A and C). Disappearance of the cysts from the stools on day 15 was 80% in group B, 72.2% in group A, and 26.6% in group C (p = 0.011, between group B and group C; p = 0.013, between group A and group C). At the end of the first month after inclusion, clinical cure rate was 94.4% in group A and 73.3% in group B (p = 0.11). Parasitological cure rate for B. hominis was very comparable between both groups (94.4% vs. 93.3%, p = 0.43). Metronidazole or S. boulardii has potential beneficial effects in B. hominis infection (symptoms, presence of parasites). These findings challenge the actual guidelines. This study presents as a poster presentation in the 43rd Annual Meeting of the European Society for Pediatric Gastroenterology, Hepatology, and Nutrition (ESPGHAN) in 9–12 June 2010 at Istanbul, and the abstract of this study was published in a supplemental issue in the Journal of Pediatric Gastroenterology and Nutrition.